One of the biggest complaints people who take their technology on the go is that they miss out on their favorite live sports. Finding a legit mobile live stream of a sporting even can be tough, but it’s about to get a little easier for people who get their cable TV through Comcast. Starting in February, Comcast customers will be able to live stream in-market MLB, NBA, and NHL games. Comcast customers will need to have the channel the game is airing on as a part of the package they’re subscribed to, but if they do, all they’ll need to do is to sign in and start watching live. 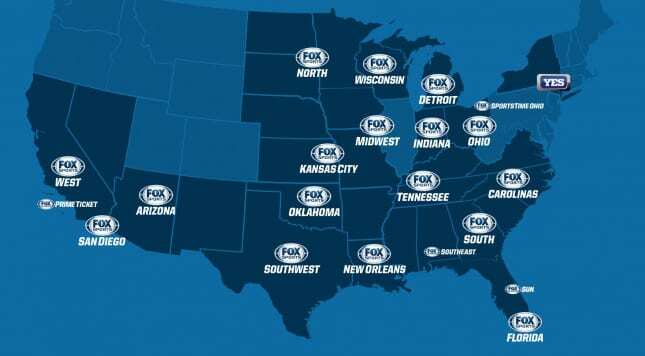 Games will be available to Comcast customers to stream on the Fox Sports Go website and on the Fox Sports Go app (once customers choose the event they want to watch, they’ll need to sign in to their Comcast account). This agreement comes not long after other cable providers like DirecTV, Dish, and Charter have made their own similar deals with Fox Sports.